USPS Considers Cutting 20 Percent Of Workers : The Two-Way USPS also said it wanted to overhaul its health and pension programs. The moves would require congressional approval and the scrapping of labor agreements, which could set precedents and deliver a major blow to the country's labor movement. 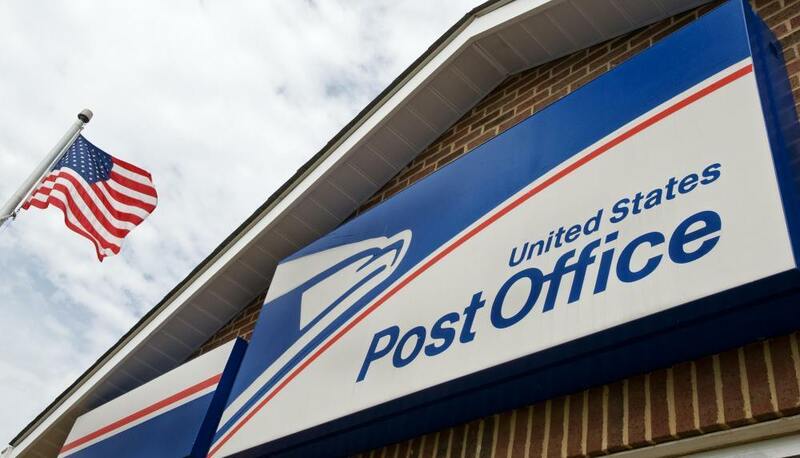 The United States Postal Service, which has been facing tough financial times, is proposing to cut 20 percent of its workforce and moving its retired workers out of federal health and retirement programs. The Washington Post first broke the story citing two draft documents it obtained. In one of them, a "Workforce Optimization" paper, the USPS says it is facing bankruptcy if it does not reorganize. But the reorganization would mean breaking its "labor agreements," which it calls an "extraordinary request... key to securing our future." The layoffs would be achieved in part by breaking labor agreements, a proposal that drew swift fire from postal unions. The plan would require congressional approval but, if successful, could be precedent-setting, with possible ripple effects throughout government. It would also deliver a major blow to the nation's labor movement. The National Association of Letter Carriers already issued a statement, calling the proposals "radical." It said news of the proposal came just days before the union was set to sit down with USPS for collective bargaining negotiations. "Although we are prepared to seriously bargain over any proposal," said President Fredric V. Rolando, "we will resist this blatant attempt to subvert and circumvent collective bargaining." In the documents, the postal service lays out plans to streamline the closings and cosolidation of plants, but if it can't lay off workers, it said, it would not be able to balance its expenses and revenues. The Postal Service also said the Federal Employees Health Benefits Program doesn't meet its needs, and said it will ask Congress for permission to pull its 600,000 active employees and 480,000 retirees out of the program. The Postal Service would set up its own health plan instead, which it said would be simpler, more cost effective, and more in line with the private sector. The Postal Service also wants to pull employees and retirees out of the Federal Employees Retirement System and the Civil Service Retirement System and put them into a new Postal Service Retirement Program. But future employees would no longer receive a defined benefit pension, as CSRS and FERS employees do. They would only have a defined contribution plan, similar to a 401(k) or the current Thrift Savings Plan. It is unclear whether postal employees would remain under the TSP or would have their own defined contribution plan under the postal plan.